Despite major successes globally in reducing malaria, this ancient scourge continues to cause death and suffering across the tropical and subtropical belt spanning South America, Africa and south-east Asia. Close on 216 million cases of malaria were recorded in 2016 (the most recent statistics available), resulting in 445,000 fatalities. The vast majority of these cases and deaths occur in Africa. South Africa has a long and distinguished history in combatting malaria, and in fact has played a leading role in many respects dating back to the early decades of the 1900’s. Names like Siegfried Annecke, Botha de Meillon and others are associated with the malaria research institute in Tzaneen, which like a chameleon has had many names including the “Siegfried Annecke Institute” but was always associated with world class research on malaria control. Early in the 20th century malaria was rife in South Africa, reaching far wider than its current limited distribution and causing many thousands of deaths each year. It was the South Africans who first tried out pyrethrum for spraying huts indoors to control mosquitoes, a practice that was soon copied throughout the malaria regions of the world and eventually replaced by synthetic pyrethroids, DDT and others. These efforts resulted in the malaria-affected regions in South Africa dramatically shrinking to their current core areas in Limpopo, Mpumalanga and northern KwaZulu Natal. Getting rid of malaria in these remnant patches has proven a very obstinate and persistent challenge, mainly because the areas keep being re-infected by parasites brought in from neighbouring countries which then infect local mosquitoes. However, these remaining cases are relatively few compared to the historic burden and South Africa has an official policy and target to eliminate all local transmission of malaria. Of the three malaria-endemic Provinces in South Africa, Limpopo has for several years been the hardest hit despite robust efforts by the Department of Health to implement Indoor Residual Spraying throughout the affected areas. This leaves the question “Why does malaria continue to persist if control measures are being implemented?”. There are a number of possibilities but will take research effort to untangle and understand what the various factors are, and their relative role and importance. Are there other mosquito species now taking on a role in malaria transmission, not just the one or two that historically were the main culprits? Has the regular annual spray campaign maybe resulted in the build-up of insecticide resistance in mosquitoes? Also, have historic control measures resulted in adaptation of the mosquitoes to such practices and resulted in a shift to more outdoor biting rather than indoors. Or maybe biting earlier at night when people are outside rather than having peak biting periods well after midnight when people are in their deepest sleep and less likely to slap and kill or disturb these mosquitoes from feeding? There are lots of questions, each of which has to be investigated to understand why malaria continues to be such a persistent challenge. 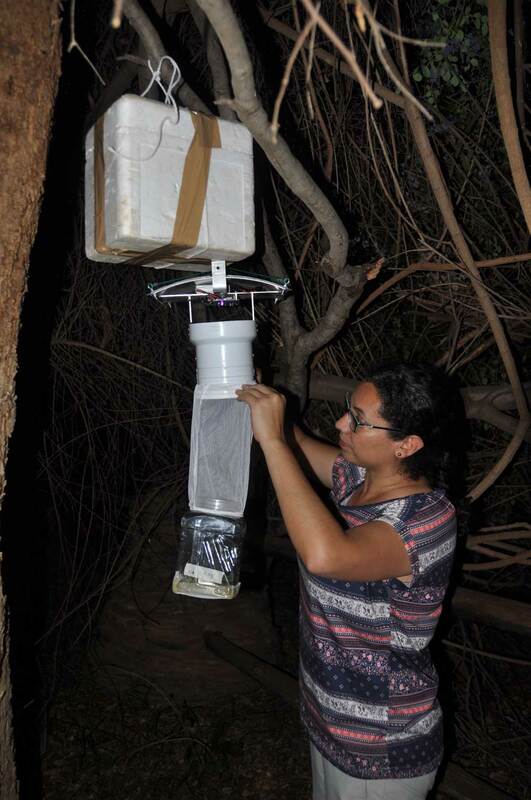 The University of Pretoria, by way of its Institute for Sustainable Malaria Control, has received some seed funding to conduct pilot surveys and assessments of mosquitoes in the Vhembe region, to look at which mosquitoes are present in the malaria “hotspots”, which species are likely to be involved in malaria transmission, their abundance, where they are breeding, have they built up resistance to insecticides, their feeding behaviour and host preferences, social factors that influence malaria transmission. 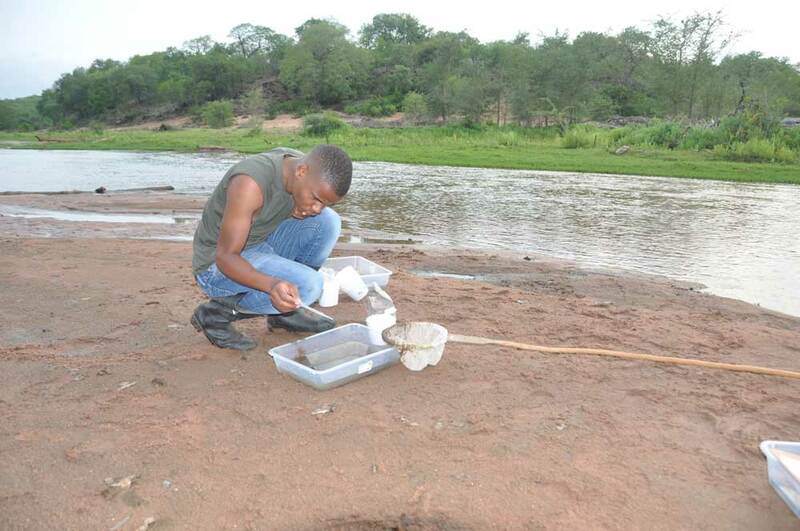 Periodic visits by a small team of researchers will use base themselves at Awelani Lodge near Masisi but work at multiple areas covering the four main river systems in the Limpopo River Valley region, namely the Limpopo, Nwanedzi, Nzhelele and Mutale Rivers. Awelani Lodge is supporting the University of Pretoria and their research efforts by subsidizing accommodation for the researchers during their visits. Awelani Lodge is fortunate in being located in pristine bush sufficiently far from the nearest rivers and surface water so that hardly any mosquitoes are present at the Lodge and therefore very low malaria risk, but conveniently located for the research team to reach their different core working areas.